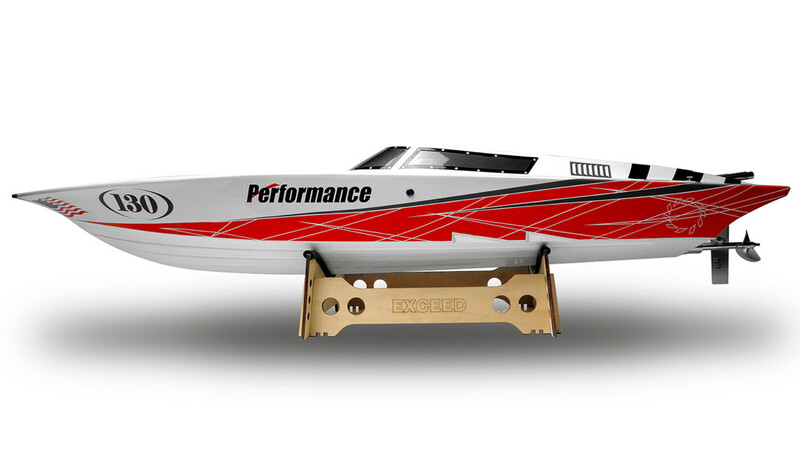 Speed across the water with your RC High Performance NEW DESIGN SPEED BOAT! 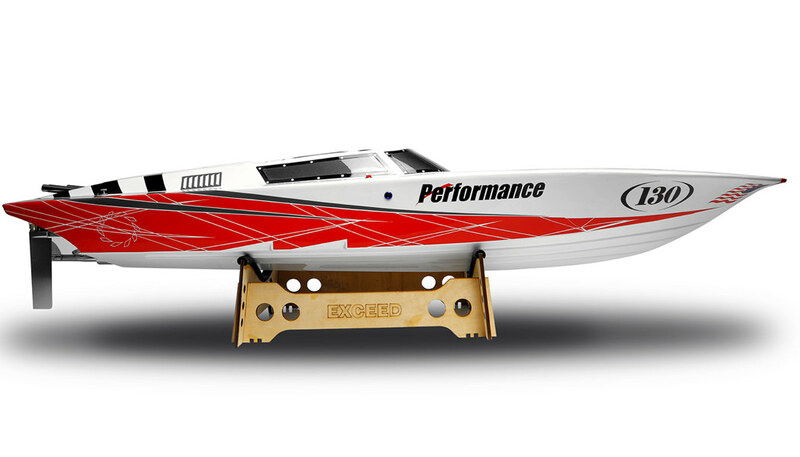 This extreme 54.5" boat is powered by a high performance 2 stroke 26cc engine. 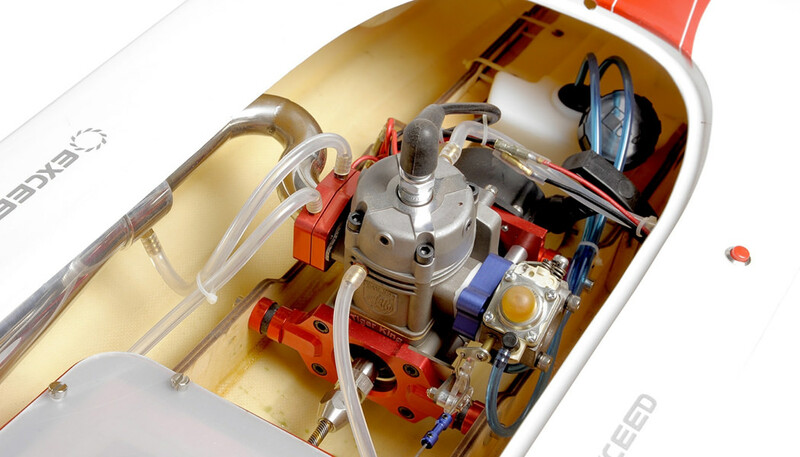 The power boat has cylinder head sockets for heater plugs, and full throttle indicator to regulate fuel intake. Water cooling systems are implemented into the boats design to keep the boat engine cool when running in extreme conditions. This boat has a huge amazing factor. Everybody who sees this 54.5" monster is literally blown away by the sheer size of this boat as well as and the quality of its amazing paint work and that's even before you take the lid of to reveal the monster of a motor! Everything about this boat is simply stunning even before you put it in the water. 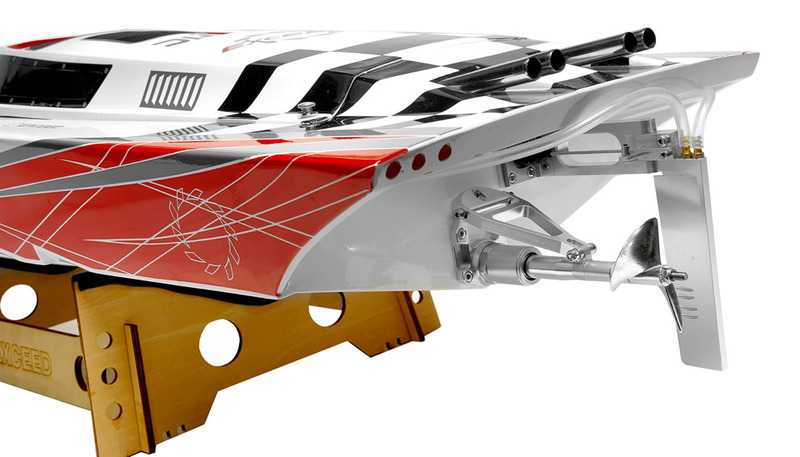 It is constructed by hand using light weight and super strong epoxy resin Fiberglass to increase speed and improve handling and then factory painted to a very high standard . The boat comes complete with a strong plywood stand making starting easy. Being a 2 stroke motor, starting is as simple as pulling the cord. That is what everybody says as soon as they see this missile. 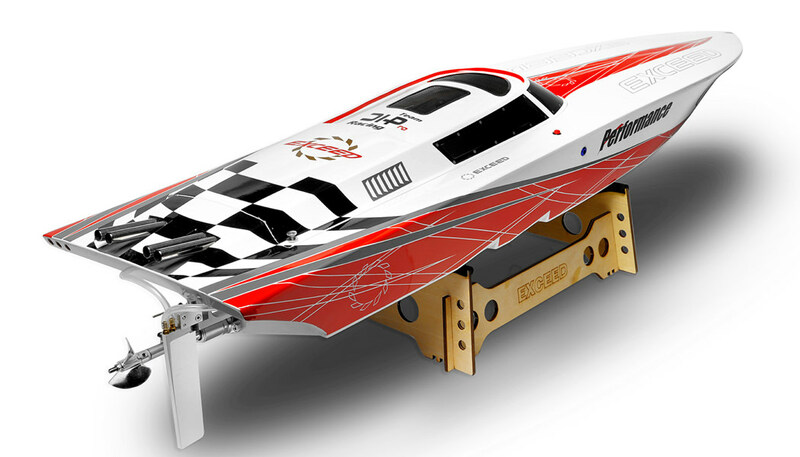 This boat has been a huge success in the racing seen literally all over the world. This boat is draw dropping good looking and that's before you put it in the water. 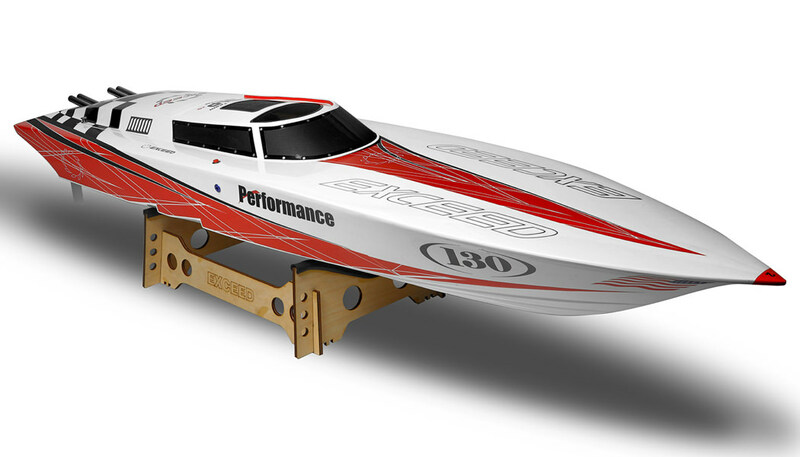 This boat is a as fast as it looks with a race proven pull start race Petrol Engine already installed. 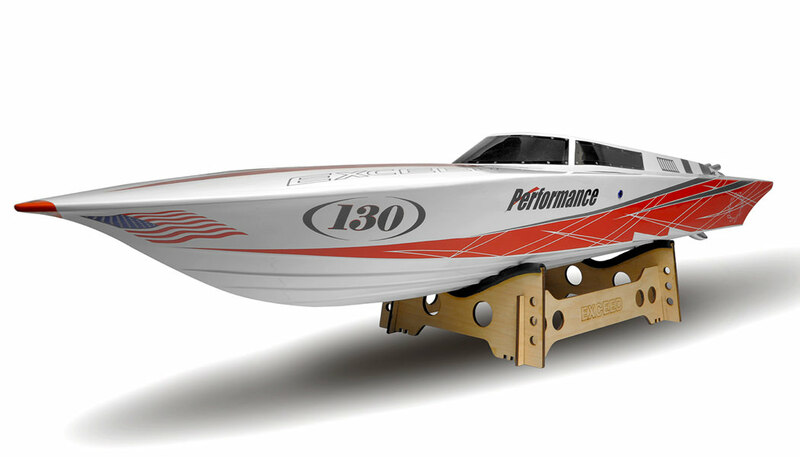 The boat is 90% ready to race right out of the box, all you have to do is install batteries, receiver, and transmitter.